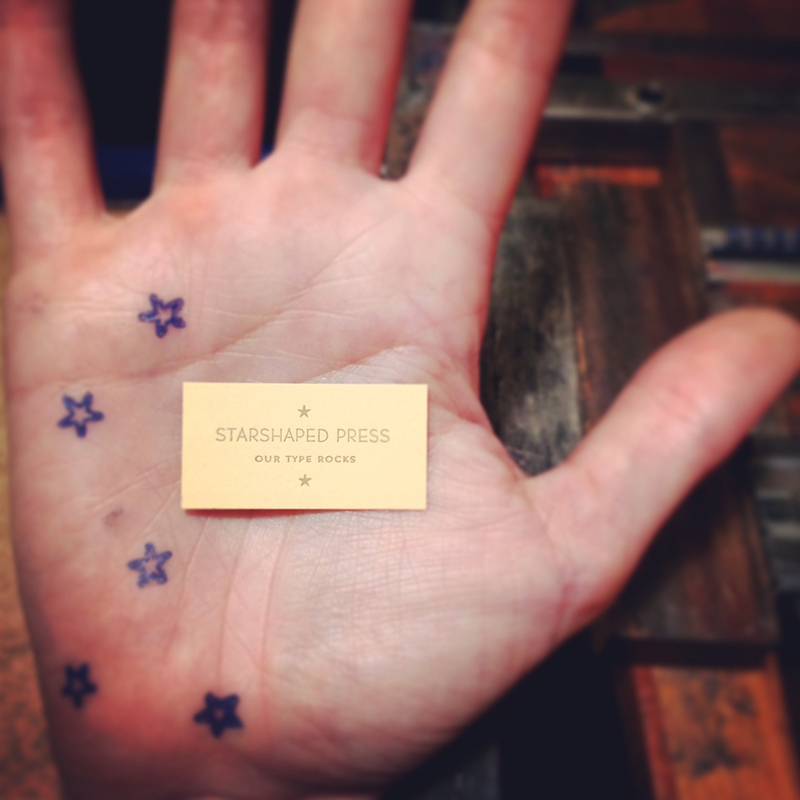 I’ve been at the press since 1996; Starshaped Press was born in 1999. 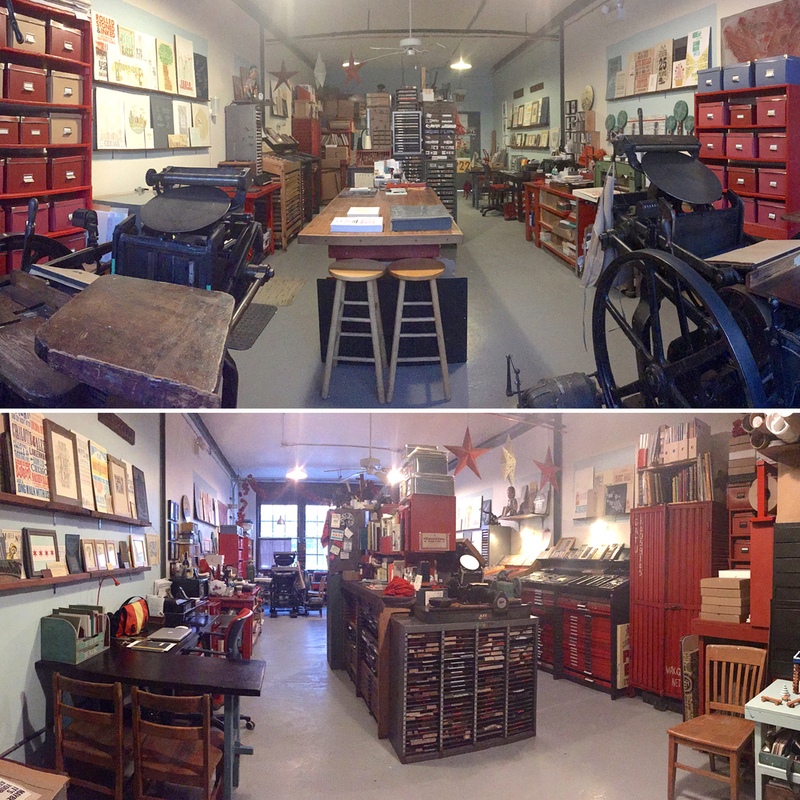 I cut my teeth working at the venerable Fireproof Press right here in the Windy City and struck out on my own after that, armed with the ideals of a Luddite and ridiculous notions of keeping letterpress as old school as possible. I hate when presses are called ‘letterpresses’ or ‘printers,' when stationery is spelled incorrectly and when two spaces are used after each sentence in digital typesetting. I dream of being interviewed by Steve Edwards someday (shook his hand this summer!) and hope my Newberry Library Fellowship & oodles of awards bring me one step closer. Jo has been on press since they were 3 years old. Jo is responsible for cleaning the studio, sorting wood type and picking spacing up off the floor. They love making prints on the Vandercook then selling them to raise money for charity.